Let's get this out of the way right at the get-go -- the Gresso Magnum collection of cases is not cheap. They aim to be the luxury side of a market that skews largely towards the low-cost models. 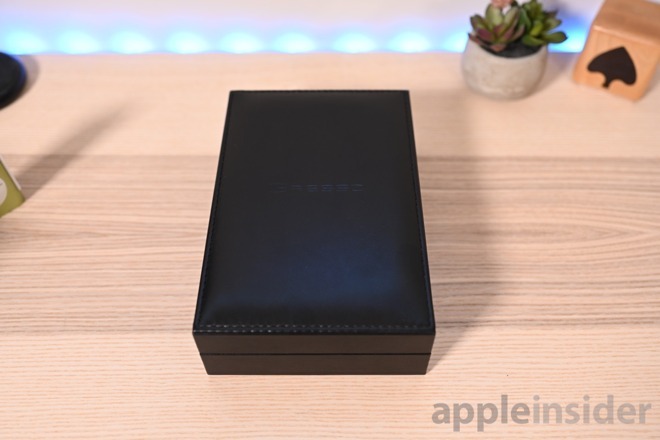 The packaging is a leather-wrapped wood box that is padded on the top and feels soft to the touch. Glossy silver hinges and guides let the top to swing open, revealing the case within. There are so many small details just in the packaging such as the pillowed interior, magnetic closure, and top accent stitching. The box is so nice, we aren't sure what one does with the box after buying one of the cases, other than perhaps using it put the phone in when reselling to up the second-hand market value. Each Gresso Magnum titanium case is crafted out of a single plate of titanium that is both lightweight and exceedingly strong. We've seen plastic, leather, and other cases that offer less protection weigh more. As titanium is naturally silver/grey, the black color is achieved through physical vapor deposition, commonly known as PVD. In this process, the case is placed in a vacuum chamber along with a sample of the plating material. This plating material is then heated, before it condenses onto the case, giving it its dark color. This is a commonly used process though isn't as strong or wear resistant as Apple's DLC process used to color their stainless steel Apple Watch link band. 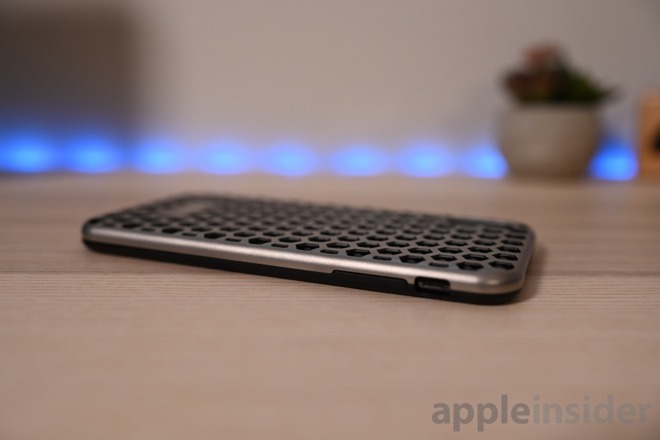 Within the titanium outer piece is an inner TPU bumper. This adds additional shock protection to the case when dropped. According to Gresso, these cases are able to withstand drops from up to 30 feet and loads of 550 pounds. In the real world, that won't necessarily mean as much because phones are rarely that high and can still get a screen crack if hitting any sort of edge or debris. 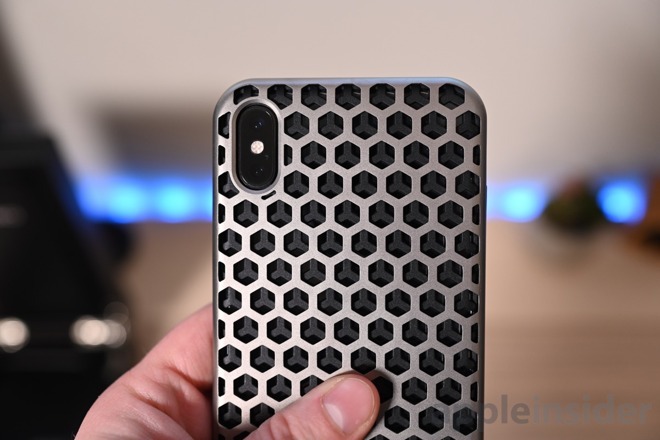 The TPU bumper has some style of its own, with a repetitive hexagon pattern across the back. On the solid-back case, this isn't seen. 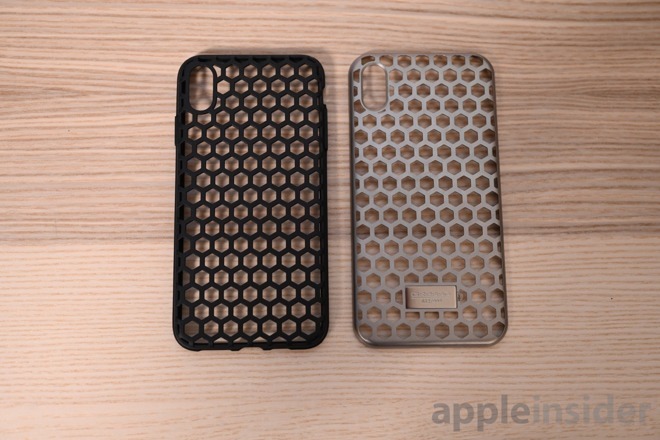 On the patterned case, the hexagons overlap creating a new pattern with some depth. It looks great, though debris does get trapped in there from time to time. 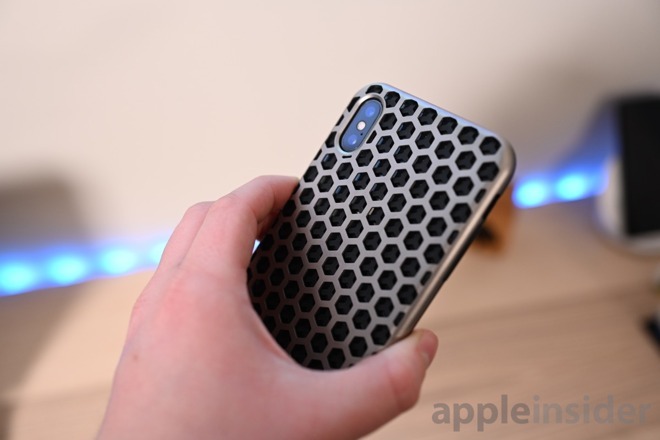 We've toted around iPhone XS Max in Gresso's titanium case for some time now, and it has us torn on exactly how we feel about it. Flip things over, we've a ton of positives. These cases look amazing and we can't count the number of people who wanted to see it, touch it, or hold it. They clearly look the part of luxury and we've enjoyed sporting it around town. There no spinning this -- at near $600 few, if any of you, will see the point in dropping that much coin on a case for a phone that will get replaced in a year or two. The luxury market is often overlooked though, with few alternatives. 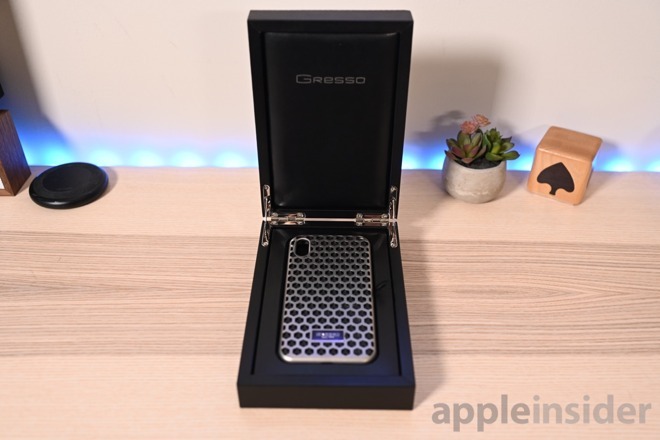 We end up with modified iPhones such as the Tesla iPhone from Caviar that makes less sense than the functional cases from Gresso. 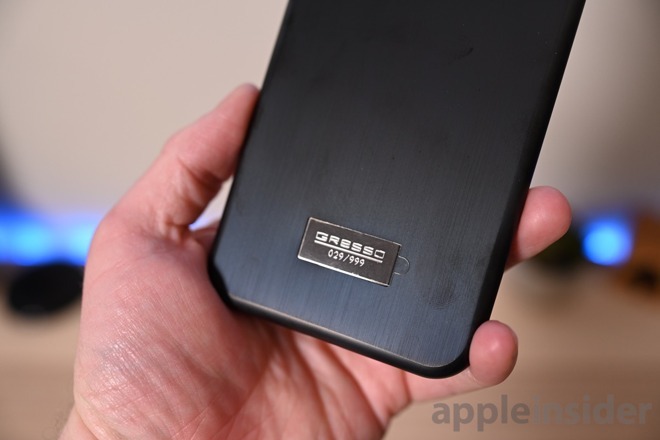 I saved enough money buying an iPhone XR to afford one of these cases only to find out it’s not available for that model. Looks great, but wrapping your phone in any metal is a bad idea for reception, wireless charging etc. Only following Apple’s tradition of form over function. Actually I prefer it that way, I’ve always found cases with a cutout circle to show a logo to be in poor taste. I don’t need to show off logos, Apple’s or otherwise. Complete nonsense, of course. 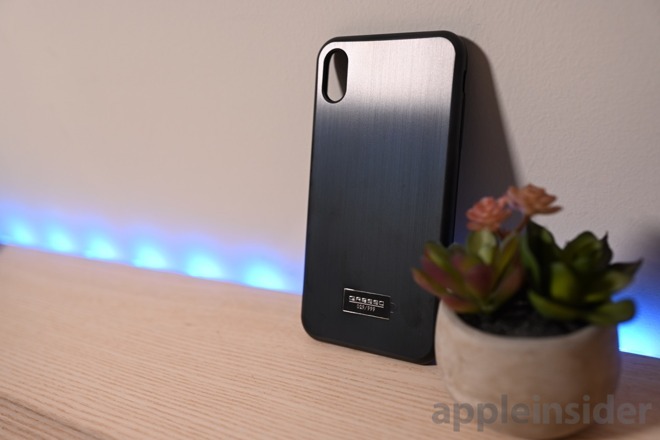 Apple’s designs are very much based on function, which is why the whiners get so mad that they rarely change (for change’s sake, despite Apple explaining they don’t do that), or that the Apple battery case looks funny because it was designed to not block the antennas, etc. Thanks but I'll stick with Apple's case. I still like a flip case that covers the front of the phone as well as the back so I don't worry when I stick the phone in a coat pocket with my car/house/office keyring. I thought my superb Greenwich iPhone X case (https://greenwich.design/collection/smartphone-cases/iphone.html) was extravagant but it's pocket change compared to this one.